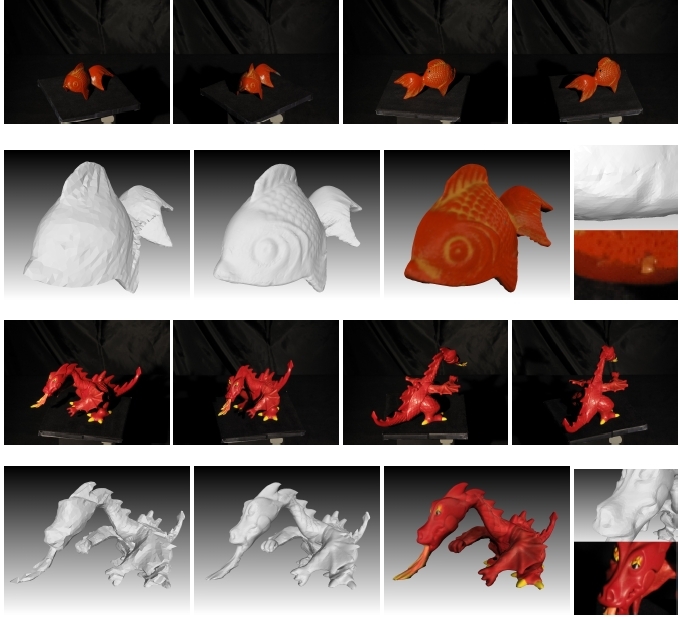 This projects tackles the problem of exploiting the photometric information in order to recover 3D shapes from multi-view images. 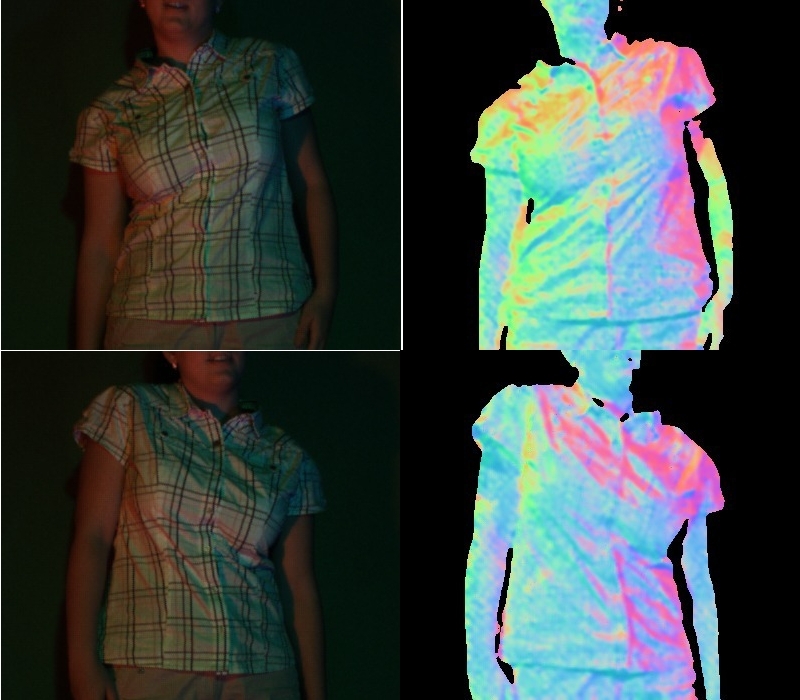 Photometric cues, related to appearance, illumination, shading, reflectance, etc. are of particular interest since they provide usefull information about the object surface orientation. We take advantage of particular capturing setups such as photometric stereo or multi-view Helmholtz stereo in order to well-pose the problem. 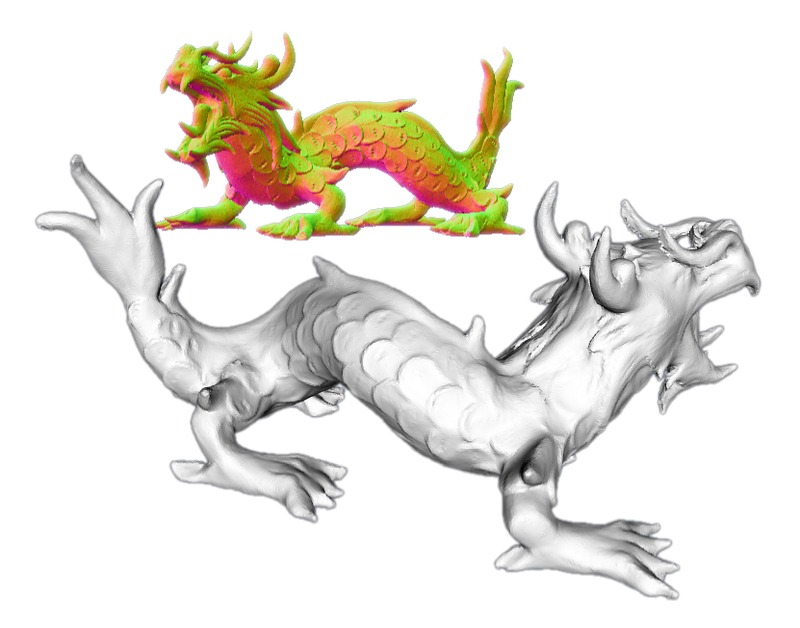 Such setups allow to easily recover surface normals and then to reconstruct dense and precise 3D geometry.